A new study shows that the number of North Carolina residents with employer health insurance has taken a massive hit during the last ten years. This news is extremely troubling for people who are already experiencing financial problems, as the cost of medical services and prescriptions keeps climbing. The Robert Wood Johnson Foundation found that North Carolinians under the age of 65 with employer-provided insurance fell from 69 percent in 2000 to just 56 percent in 2011. That translates to roughly 220,000 people losing their medical insurance coverage. 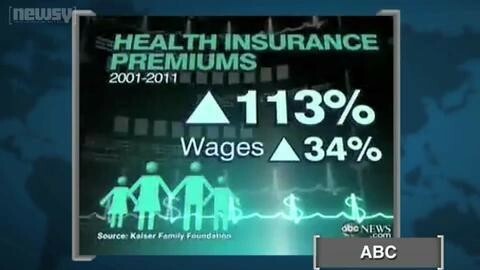 With the nation’s economy still in recovery mode, the cost of healthcare and insurance premiums continue to rise. In North Carolina, a family paying their annual premium for coverage is now paying about $13,974. This is an insanely high number, considering that insurance premiums cost NC families about half that number ten years ago. With numbers like these, it would appear that the insurance coverage business remains unaffected by the nation’s ugly recession. The recent recession also played a major part in the decline of employer-sponsored insurance. Throughout the entire economic crisis, North Carolina suffered one of the nation’s highest unemployment rates. What’s even worse is that the state still has a 9.4 percent unemployment rate as of February, 2013. Adam Linker is an analyst at the N.C. Health Access Coalition. He says that this trend ends up hurting NC residents, as well as the economy. 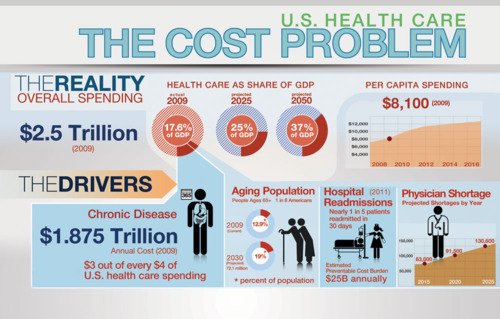 One of the glaring problems for NC residents is the overwhelming cost of paying for their own healthcare. Pick up any paper or news publication and you’re bound to see a story about the outrageous cost of hospital care or prescription coverage. Those stories represent thousands and thousands of families and individuals across the country who end up having to choose if they can afford to seek medical attention when they are sick. According to multiple sources, inpatient hospital costs increased by just over 8 percent in two years. That’s a rate of increase many times greater than the rate of inflation. What’s worse is that a joint investigation by The News & Observer and The Charlotte Observer uncovered that urban hospitals were racking up record profits. Their revenues often come at the expense of the uninsured, hiking up the prices of medications and medical procedures by 10 times what they actually cost. It’s hard to believe that in this day and age, any American should have to choose between being healthy and providing a home for their family, but that is unfortunately the case for many people. In addition to individuals, many small NC companies are no longer able to provide insurance options to their employees. And for those companies who can afford to provide employee insurance, many of them are cutting back on the quality of coverage they offer and the amount of money they contribute towards the benefits. A great example of that would be Wal-Mart. Despite being the nation’s largest private employer, the company decided in 2011 that future employees who work less than 24 hours in a week would no longer be eligible for any company sponsored healthcare benefits. Taking that a step further this year, Wal-Mart won’t be offering any insurance benefits to employees who work less than 30 hours a week. Even those employees who are lucky enough to have an employer who offers healthcare insurance are now less likely to buy it due to the sky-high costs. According to the Robert Wood Johnson report, 21 percent of workers who were offered benefits in 2011 declined to buy it. It’s hard to fork out $11.000 each year for healthcare coverage when you only make a $20,000 salary. So, what can you do? Well, if you are in financial trouble and struggling to make ends meet, one of the smartest things you can do is meet with a reliable North Carolina bankruptcy lawyer. Knowledge is power. Once you understand the bankruptcy process, you may discover that filing a Chapter 7 bankruptcy or a Chapter 11 bankruptcy would greatly benefit your situation. Talk to a local NC bankruptcy attorney today and find your way back to financial stability.